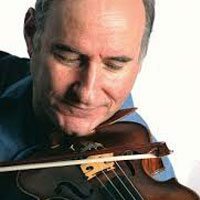 Ronald Lantz is a founding member of the Portland String Quartet. In his 44 years with the ensemble, he has performed in 33 countries, throughout Europe, South America, the Caribbean, Japan and Russia, touring both privately and as a musical ambassador for the US State Department. He has appeared in venues such as Carnegie Hall, Alice Tully Hall, Merkin Concert Hall, the Metropolitan Museum of Art, the Frick Museum, the National Gallery (Washington, DC), the Isabella Stewart Gardner Museum (Boston), the Chicago Chamber Music Society, Suntory Hall and Casals Hall (Tokyo), the Herodus Atticus Theatre (Athens), the Rimini Festival in Italy, the Festival of Northern Norway, and the Mozart Festival in Rio de Janeiro. College tours have included Harvard, Yale, Cornell, Brown, Dartmouth, Boston College, Hunter College, Williams, Wesleyan, Mount Holyoke, Baylor, and the University of Illinois Champaign-Urbana. Mr. Lantz may be heard in over 20 recordings with the Portland String Quartet on the Arabesque, Northeastern and Orion labels, among others. Numerous awards include a Grammy nomination, “Classical Recording of the Year” from the New York Times, “Classical Music Release of the Year” from the Washington Post and “Best Chamber Music Recording” from the Boston Globe. Live radio appearances include St. Paul Sunday Morning, WGBH Morning Pro Musica with Robert J. Lurtsema, and WNYC and WQXR in New York. He and the quartet have collaborated with artists such as Menahem Pressler, Joseph Silverstein, Sharon Robinson, Jamie Laredo, Igor Kipnis, David Shifrin, Michael Tree, Lorin Hollander and Nathaniel Rosen. A devoted teacher, Mr. Lantz, along with the Portland String Quartet, was invited by José Antonio Abreu to work with the first Inter-American Youth Orchestra in Venezuela, which began a long association and partnership in helping to build the Simón Bolívar Orchestra and El Sistema, from 1976 to 2002. El Sistema continues to send talented young students to the US to study with Lantz and his colleagues. He and the quartet have given over 1,000 youth concerts in the US and abroad, and have conducted chamber music seminars across the US and South America. Mr. Lantz has served on the music faculties of Bowdoin, Bates and Colby Colleges, the University of New Hampshire, the University of Southern Maine and Portland Conservatory of Music. He maintains a large private studio in Portland, Maine, and his students have won music scholarships to institutions such as the Juilliard School of Music, Indiana University, the New England Conservatory, Mannes School of Music, the San Francisco Conservatory, the Shepherd School of Music at Rice University, Ithaca College and the University of Colorado, Boulder. A resident of Portland, Mr. Lantz holds an honorary Doctorate in Music from Colby College. He is a graduate of the Indiana University School of Music, where he studied with Daniel Guilet, the founding violinist of the Beaux Arts Trio, and coached with Josef Gingold. He also studied chamber music with Janos Starker, Menahem Pressler and the Berkshire Quartet. During his graduate work at the Juilliard School and summer studies at Meadowmount, he studied with Ivan Galamian, Sally Thomas, Paul Makanowitzky and Josef Gingold. Mr. Lantz performs on a violin made in Paris in the 1850’s by the renowned instrument and bow maker Jean-Baptiste Vuillaume. 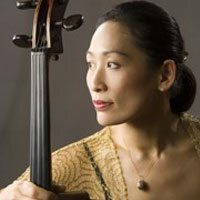 Cellist Yeesun Kim is a member of the Borromeo String Quartet, New England Conservatory’s quartet-in-residence.. She is currently Chair of the String Department at New England Conservatory. Hailed by the New York Times for her “focused intensity” and “remarkable” performances, Kim enjoys worldwide acclaim as a soloist, chamber musician and teacher. A founding member of the Borromeo String Quartet, Kim has performed in over 20 countries, and in many of the world’s most illustrious concert halls and festivals. Highlights of her 2013–14 season include the world premiere of Lera Auerbach’s String Quartet No. 7, “Désir”, performances of the Bela Bartók quartet cycle at the Montreal Chamber Music Festival and in Boston at Jordan Hall, and appearances at the Orquesta Sinfonica de Xalapa Festival in Mexico, the Bermuda Festival of the Performing Arts, and the Terra di Siena Chamber Music Festival in Tuscany. This season welcomes multiple performances with clarinetist Richard Stoltzman, and special collaborations with the Bill T. Jones Dance Company, the Chicago Chamber Musicians, and also with cellist Antonio Lysy in a special multimedia production, Te Amo, Argentina. Her collaborations with other artists include appearances with Angelique Kidjo; violinists Joshua Bell and Pamela Frank; violists Roberto Diaz, Kim Kashkashian, Paul Neubauer, Roger Tapping; cellists Paul Katz, Gary Hoffman, Laurence Lesser, and Alisa Weilerstein; pianists Christoph Eschenbach, Leon Fleisher, Gary Graffman, Wu Han, Menahem Pressler, Rudolph Serkin, and Russell Sherman; clarinetist Richard Stoltzman; and members of the Guarneri and Juilliard String Quartets. As a member of the Borromeo Quartet since its inception in 1989, Kim has had extensive involvement with NPR’s “Performance Today,” the Chamber Music Society of Lincoln Center in New York, and the Library of Congress in Washington, D.C. Her radio and television credits also include “Live from Lincoln Center” and numerous appearances on WGBH in Boston, Radio France, and NHK Radio and Television in Japan. Recording credits include Native Informant, featuring music of Mohammed Fairouz (2013), As it was, Is, And will be, featuring music of Gunther Schuller (2011), String Quartets by Robert Maggio (2011), Speak Like the People, Write Like the King, featuring music by Steve Mackey (2009), Soul Garden: The Chamber Music of Derek Bermel (2002), Beethoven: Serioso (2002), and Ravel: String Quartet and Sonata for Violin & Cello (1999). 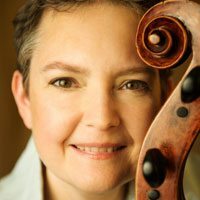 Kim currently serves on the faculty of New England Conservatory, in the cello and chamber music departments, and teaches each summer at the Taos School of Music in New Mexico. She has also taught at the McGill International String Quartet Academy in Canada, the Suntory Hall Fellows Academy in Japan, at the Seoul National University and National University of Arts in Korea, and for the Foulger Institute in New Jersey. A recipient of the Avery Fisher Career Grant, Chamber Music America’s Cleveland Quartet Award, Lincoln Center’s Martin Segal Award, and the Evian International String Quartet Competition as a member of the Borromeo Quartet, Kim has garnered numerous awards individually as well, including winner of the Ewha and Joongang National Competitions in Korea, and the Seoul Young Artists Award for achievement in music and academics. A top prizewinner of the International Paganini Competition in Genoa Italy, violinist Lynn Chang has enjoyed an active and versatile international career as soloist, chamber musician, and educator for over thirty years. 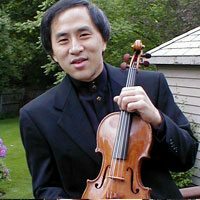 A native of Boston, Chang began his violin study at the age of seven with Sarah Scriven and Boston Symphony Orchestra violinist Alfred Krips. He continued his studies at the Juilliard School with Ivan Galamian, and then went on to receive his Bachelor’s Degree in Music from Harvard University. Chang has appeared at top music festivals such as Marlboro, Tanglewood, Kneisel Hall, Wolf Trap, and Great Woods, and as soloist with orchestras in Boston, Miami, Salt Lake City, Oakland, Seattle, Honolulu, Beijing, Taipei, and Hong Kong. Chang has collaborated with cellist Yo-Yo Ma on numerous occasions. Their performance of Leon Kirchner’s Triptych was recorded for Sony Classical. Their world premiere performance of Ivan Tcherepin’s Double Concerto with the Greater Boston Youth Symphony Orchestra received the Grawmeyer Award for best new composition in 1995. In 2004, he participated in Ma’s Silk Road Project residency at the Peabody Essex Museum. In 2011, Chang celebrated his longtime friend Yo-Yo Ma at the Kennedy Center Honors. Onstage with Emanuel Ax, Pamela Frank, and Elmo, Chang delighted luminaries from Meryl Streep to President Obama. 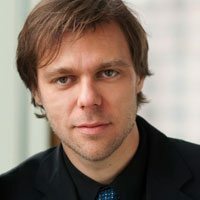 Grammy-nominated pianist Andrius Žlabys has received international acclaim for his appearances with many of the world’s leading orchestras, including The New York Philharmonic, Boston Symphony Orchestra, Cleveland Orchestra, Rotterdam Symphony, and Philharmonic Orchestra of Buenos Aires. He is a featured soloist in “Between two Waves” by Victor Kissine for piano and string orchestra released on ECM in 2013 in collaboration with Gidon Kremer and Kremerata Baltica. In 2012 Andrius Žlabys made his concerto debut at the Salzburg Festival performing Mozart’s Concerto K.467 with the Gustav Mahler Youth Orchestra conducted by Mirga Grazinyte-Tyla. Andrius Žlabys—born in Lithuania and trained at the Curtis Institute of Music—was 18 years old when the Chicago Tribune wrote: “Pianist-composer Andrius Žlabys is one of the most gifted young keyboard artists to emerge in years.” Žlabys was also heralded by The New York Sun in a review titled “A Shining Hope of Pianists” after his recital at the Metropolitan Museum of Art in New York. Mr. Žlabys’s concerts have included appearances on many of the world’s leading stages, such as Avery Fisher Hall at Lincoln Center, Concertgebouw, Carnegie Hall, Phillips Collection, Teatro Colón, Wigmore Hall, Vienna’s Musikverein and Suntory Hall. He has also appeared at numerous festivals both in the U.S. and abroad, including the Menuhin, Salzburg, Lockenhaus and Caramoor music festivals, and made his Carnegie Hall debut at the Isaac Stern Auditorium with the New York Youth Symphony conducted by Misha Santora in 2001 in a performance of Beethoven’s First Piano Concerto. He was also invited the following season as soloist with Kremerata Baltica to perform Benjamin Britten’s Young Apollo at Carnegie Hall’s Zankel Hall. Andrius Žlabys has enjoyed collaborations with several esteemed musicians, including violist Yuri Bashmet, violinist Hilary Hahn, and an enduring collaboration with violinist Gidon Kremer with whom Zlabys has toured extensively in Europe, Japan, South America, and the U.S. In 2003, Žlabys received a Grammy nomination for his recording of Enescu’s Piano Quintet with Gidon Kremer and Kremerata Baltica. A multifaceted musician of wide-ranging repertoire, Andrius Žlabys holds a special reverence for J. S. Bach, while remaining a strong advocate for the contemporary stage with numerous works commissioned by and written for him. He was a winner of 2000 Astral Artists National auditions. Andrius Žlabys began piano studies at the age of six in his native Lithuania with Laima Jakniuniene at the Ciurlionis Art School, and continued his studies in the U.S. with Victoria Mushkatkol (Interlochen Arts Academy), Seymour Lipkin (Curtis Institute of Music), Sergei Babayan (Cleveland Institute of Music), and Claude Frank (Yale School of Music). American pianist Jeffrey Cohen continues to draw international attention for the brilliance and artistry of his interpretations. Mr. Cohen has been praised by The New York Times for the “lucidity and poetry” of his playing. Both as soloist and chamber musician, Mr. Cohen’s performances have taken him to three different continents. Recitals include appearances for The Chamber Music Society of Lincoln Center, Merkin Concert Hall, Bargemusic, the Phillips Collection, Mostly Music Series of Chicago, the National Center for the Performing Arts in Beijing and the National Arts Center of Ottawa. In the summers, Mr. Cohen has been a faculty member or guest artist at major music festivals including Bowdoin, Waterloo, Musicorda, Orford, Summit, Texas Music Festival and the Seoul Summer Music Camp. He currently serves on the summer faculties of the MusicAlp International Academy of Music in France, the Duxbury Music Festival, and the Beijing International Music Festival and Academy. Mr. Cohen’s debut compact disc, a collection of French chamber music, received critical acclaim in Fanfare magazine. He has performed for broadcasts on National Public Radio’s “Performance Today,” the CBC Radio Network, Radio Canada, Radio France and WQXR. In addition to his concert activities, Mr. Cohen’s teaching gifts have established him as a leading piano pedagogue of his generation. His students have won prizes in major competitions and enjoy successful careers as teacher/performers. 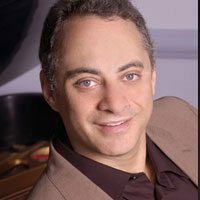 For more than twenty years, Mr. Cohen has been a piano professor and member of the artist faculty at the Manhattan School of Music in New York City, where he currently serves as Coordinator of Piano Master Classes and Competitions. He has given master classes at the Jacobs School of Music at Indiana University, the Central Conservatory in Beijing, the Shanghai Conservatory of Music, the American Conservatory at Fontainebleau, Boston University School of Music, the Royal Danish Academy of Music, Yong Siew Toh Conservatory and throughout Korea and Taiwan. A native of Tucson, Mr. Cohen studied at Indiana University where he worked with noted pianist Menahem Pressler and received the coveted Battista Memorial Award. He is a past Laureate of the Beethoven Foundation and a prizewinner of the Sherman-Clay Steinway Piano Competition. He resides in Manhattan with his wife, violinist Lucie Robert. Romanian violinist Irina Muresanu has won the hearts of audiences and critics alike with her exciting, elegant and heartfelt performances of the classic, romantic and modern repertoire. The Boston Globe has come to praise her as “not just a virtuoso, but an artist” and the Los Angeles Times has written that her “musical luster, melting lyricism and colorful conception made Irina Muresanu’s performance especially admirable” while Strad Magazine called her Carnegie/Weill Hall performance “a first-rate recital”. Muresanu’s performances have been frequently cited as among the Best of Classical Music Performances by the Boston Globe, and her recital in the Emerging Artist Celebrity Series was named one of the Top 10 musical events by the TAB Magazine. Early on Muresanu achieved international acclaim as an outstanding young soloist, recitalist and chamber musician winning top prizes in several prestigious international violin competitions including the Montreal International, Queen Elizabeth International, UNISA International String,Washington International, and the Schadt String Competition. She is the winner of the Pro Musicis International Award, the Presser Music Award, the Kate Kinley Fellowship Award from the University of Illinois and the Arthur Foote Award from the Harvard Musical Association. Muresanu has performed in renowned concert halls throughout North America, Europe and Asia. Her recent solo engagements include concerts with the Boston Pops, the Miami Symphony Orchestra, the Williamsburg Symphonia, the Orchestre de la Suisse Romande (Geneva), the Syracuse Symphony, the Metropolitan Orchestra (Montreal), the Transvaal Philharmonic (Pretoria, S. Africa), the Romanian National Orchestra, the Orchestre de la Radio Flamande (Brussels), the Boston Philharmonic, the Pro Arte Chamber Orchestra, the New England String Ensemble amongst others. Her recent recording releases include the Thomas Oboe Lee Violin Concerto (dedicated to Muresanu) on the BMOP label, works of Elena Ruehr (also dedicated to Irina Muresanu) on Avie Records label and the complete William Bolcom’s Violin and Piano Sonatas on Centaur label with pianist Michael Lewin (a recording that was funded by a Copland Recording Grant). In Europe, her recording of the Guillaume Lekeu and Alberic Magnard late Romantic Violin and Piano Sonatas with pianist Dana Ciocarlie for the AR RE-SE French label has sparked enthusiasm. Fanfare noted the recording with“singing and soaring…[a] sizzling performance.”Ms. Muresanu has also recorded chamber music works of Gerhard Schedl with the Walden Chamber Players, the world premiere recording of Marion Bauer’s Sonata for Violin and Piano with pianist Virginia Eskin on Albany Records, and a CD featuring chamber works of Erich Korngold released by the VPRO Radio Amsterdam. Adding to her other competition laurels, Ms. Muresanu was granted a Special Commendation award for her recording of Schoenberg’s Fantasy for Violin and Piano at the 3rd International Vienna Modern Masters Performers Recording Competition. An active chamber musician and recitalist, Ms. Muresanu has appeared in such festivals and venues as Bargemusicin New York, the Rockport Festivalin Massachusetts, Bay Chambers concert series and Bowdoin Festival in Maine, the Strings in the Mountains and San Juan Music Festival in Colorado, Maui Chamber Music Festivalin Hawaii, Reizend Music Festival in Netherlands, Festival van de Leie in Belgium, and the Renncontres des Musiciennes Festival in France. Ms. Muresanu has been a member of the Boston Triosince 2002 and she regularly performs with Mistral and the Walden Chamber Players. Irina Muresanu currently serves on the faculty the of Boston Conservatory, and has taught at Harvard and MIT. Irina will begin teaching at the University of Maryland in September 2015. Her ensemble, the Boston Trio, isEnsemble-in-Residence at the New England Conservatory, the institution at which she received the prestigious Artist Diploma degree and a Doctorate in Musical Arts degree. A native of Bucharest, Romania, Ms. Muresanu resides in Boston, MA with her husband, son and dog. She plays an 1856 Giuseppe Rocca violin and a Charles Peccat bow courtesy of Mr. Mark Ptashne. Marcus Thompson, violist, has appeared as soloist, recitalist, and in chamber music series throughout the Americas, Europe, and the Far East. 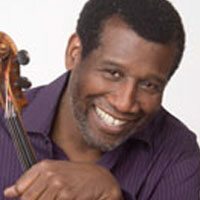 He has been a soloist with the orchestras of Atlanta, Chicago, Cleveland, Saint Louis; The National Symphony, the Boston Pops and the Czech National Symphony in Prague. He performed the West Coast Premiere of the Harbison Viola Concerto with the Los Angeles Chamber Orchestra; the Chicago Premiere with the Chicago Sinfonietta, and recently gave the Boston Premiere with the New England Conservatory Honors Orchestra. In recent seasons he has received critical acclaim for performances of the Penderecki Viola Concerto with the MIT Symphony Orchestra in Boston, and London, U.K. He has been a guest of the Audubon, Borromeo, Cleveland, Emerson, Orion, Shanghai, and Vermeer String Quartets; and a frequent participant at chamber music festivals in Anchorage, Seattle, Sitka, Los Angeles, Amsterdam, Dubrovnik and Okinawa. Born and raised in The Bronx, NYC, Mr. Thompson earned the doctorate degree at The Juilliard School. He currently lives in Boston where, as Robert R. Taylor Professor of Music, he heads programs in chamber music and performance studies at the Massachusetts Institute of Technology. He is a member of the viola faculty at New England Conservatory of Music and violist and Artistic Director of the Boston Chamber Music Society. John Heiss is an active teacher, composer, conductor, and flutist. He coaches many chamber music groups and is the Director of the Contemporary Ensemble, a chamber ensemble at New England Conservatory. In addition, he teaches music history, music theory, and gives many masterclasses on extended flute technique at New England Conservatory. In addition to his work in a multidiscipliary role in NEC Conservatory studies, John Heiss teaches flute to NEC Preparatory and Continuing Education students. He has received NEC’s Louis and Adrienne Krasner Teaching Excellence Award. His works have been performed worldwide, receiving premieres by Speculum Musicae, Boston Musica Viva, Collage New Music, the Da Capo Chamber Players, Aeolian Chamber Players, Tanglewood Festival Orchestra, and Alea III. He has received awards and commissions from the National Institute of Arts and Letters, Fromm Foundation, NEA, Rockefeller Foundation, Massachusetts Council on the Arts and Humanities, ASCAP, and the Guggenheim Foundation. His principal publishers are Boosey & Hawkes, E.C. Schirmer, and Elkus & Son. Heiss has been principal flute of Boston Musica Viva and has performed with many local ensembles, including the BSO. His articles on contemporary music have appeared in Winds Quarterly, Perspectives of New Music, and The Instrumentalist. Along with Juilliard faculty Joel Sachs, Heiss has designed and written a book/CD-Rom classical music primer for Blue Marble Music entitled Classical Explorer. 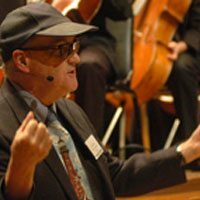 Starting in the 1970s, Heiss has directed many NEC festivals dedicated to composers or themes, and has spearheaded visits to NEC by many composers, including Ligeti, Lutoslawski, Berio, Carter, Messiaen, Schuller, and Tippett. B.A. in mathematics, Lehigh University; M.F.A., music, Princeton University. Composition with Milton Babbitt, Edward T. Cone, Earl Kim, Otto Luening, Darius Milhaud; flute with Arthur Lora, James Hosmer, Albert Tipton. Recordings on TelArc, Nonesuch, CRI, Golden Crest, Arista, Turnabout, Video Artists International, Boston Records, AFKA. Former faculty of Columbia University, Barnard College, MIT, NEC Institute at Tanglewood. 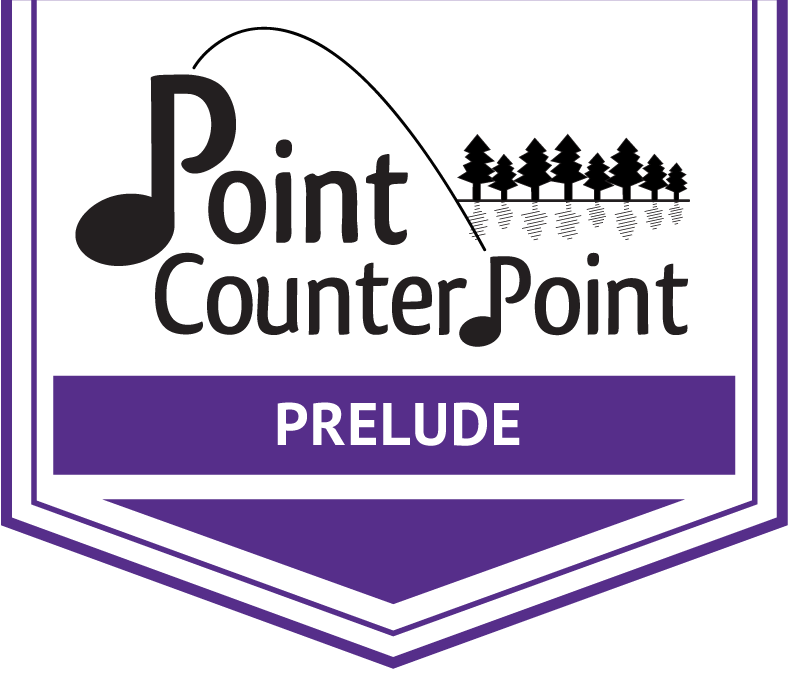 A founding member of the Naumburg Award winning Lydian Quartet, with whom she played for over twenty years, cellist Rhonda Rideris now a member of the celebrated piano trio Triple Helix. Rider’s chamber music and solo recordings have been nominated for Grammy Awards and cited as Critic’s Choice in both the New York Times and Boston Globe. As a chamber musician she has won numerous prizes at Banff, Evian, Fischoff and Portsmouth Competitions. As a soloist she won the Concert Artists Guild Award as well as an Aaron Copland Recording Grant. She has performed at the Kennedy Center, Lincoln Center, Corcoran Gallery, Wigmore Hall, Symphony Space, Library of Congress, Los Angeles County Museum of Art and has been a guest artist with the Boston Chamber Music Society and St. Paul Chamber Orchestra Chamber Music Series. Dedicated to the performance of “new” music, Rider has premiered and recorded works by such composers as John Harbison, Lee Hyla, Yu-Hui Chang, Bright Sheng and Elliott Carter. Ms. Rider has given numerous masterclasses at schools including Yale School of Music, Oberlin Conservatory, New England Conservatory and San Francisco Conservatory. She has served as a panelist for the National Endowment for the Arts, the American String Teachers’ Association and Chamber Music America. She has also adjudicated at the Concert Artists Guild, Stulberg and Fischoff Competitions. She has been heard live numerous times on Radio/Television Hong Kong and WGBH-Radio Boston. In addition, WGBH produced a piece about Rider’s cello on their Classical Connections program. In 2010, Rider was named Artist-in-Residence at Grand Canyon National Park. Eleven pieces for solo cello were commissioned for her February and October residencies. The works were performed in sixteen concerts across the U.S. in a wide variety of venues from Boston and Dallas to Wupatki National Monument and rural New York State. During the summer months, she performs and teaches at Music From Salem (NY), Green Mountain Chamber Music Festival (VT), ARIA and is the cello coach for the Asian Youth Orchestra in Hong Kong. 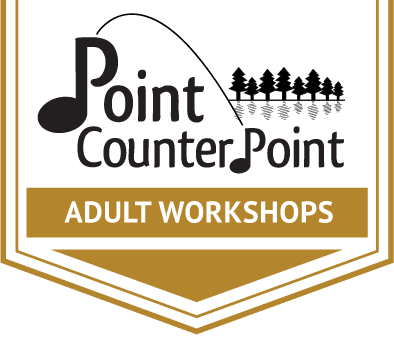 Additionally she holds a Cello Seminar dedicated to contemporary music in Salem, New York. This season she will perform across the US, in Hong Kong, Taiwan and Japan. Ms. Rider holds degrees from Oberlin and Yale. Her teachers have included the renowned cellists Aldo Parisot, Zara Nelsova and Richard Kapuscinski. 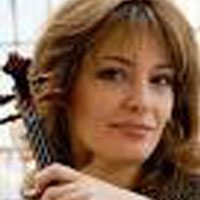 She is currently the Chair of Chamber Music and on the cello faculty at The Boston Conservatory and on the cello faculty of Boston University. Violinist Peter Zazofsky has enjoyed a career as soloist, chamber musician and educator that spans twenty years and thirty countries on five continents. He has performed with many of the great orchestras in the US and Europe, including the Boston Symphony, the Berlin Philharmonic, Amsterdam Concertgebouw, and the Philadelphia Orchestra, in collaboration with maestros such as Tennstedt, Ozawa, Ormandy, Kurt Sanderling and Charles Dutoit. As a recitalist, Mr. Zazofsky has given innovative programs in Carnegie Hall, Sala Cecilia Meireles in Rio de Janeiro, Palais des Beaux Arts in Brussels and the Teatro Colon in Buenos Aires. He also tours the world’s music centers as first violinist of the Muir String Quartet. Violinist Lucy Chapman has pursued an eclectic career spanning many musical worlds. 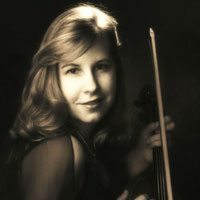 A graduate of the Curtis Institute of Music, where she studied with Arnold Steinhardt of the Guarneri Quartet, she became Acting Associate Concertmaster of the San Francisco Symphony at the age of twenty-nine; from that position, she moved on to play two seasons as first violin of the award-winning Muir String Quartet. She has played solo and chamber music concerts throughout the USA, Europe, Korea, and Japan. Her recording of Bartok, Stravinsky, and Ives with clarinetist Richard Stoltzman and pianist Richard Goode won a Grammy nomination, and she has also recorded with Keith Jarrett, whose solo sonata she premiered in Chicago’s Orchestra Hall. 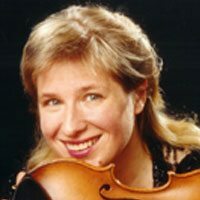 Her recent performances include concerts with pianist Jane Coop in Maine, Vancouver, and Boston, with repertoire including the Penderecki Second Sonata; guest appearances with the Boston Chamber Music Society; and chamber music at the Marlboro Music Festival in Vermont, where she has played with Richard Goode, Judith Serkin, and a host of gifted young musicians. A former faculty member at the University of California at Santa Cruz, Boston University, and Harvard University, Ms. Chapman now teaches violin and chamber music at the New England Conservatory, where she serves as Chair of the String Department and performs regularly with her colleagues, including violinists Miriam Fried and Donald Weilerstein, violist Kim Kashkashian, and cellists Paul Katz and Laurence Lesser. Since joining the faculty at NEC, she has participated in summer programs at Kneisel Hall in Blue Hill, Maine and the Marlboro Music Festival in Marlboro, Vermont. Ms. Chapman holds a Masters degree in Education from the Antioch New England Graduate School, where she specialized in Waldorf Education. Described as “a charismatic soloist of expressive generosity and technical élan,” violinist Bayla Keyes is an ardent champion for a wide range of classical and contemporary repertoire. After her first professional experience with the acclaimed Music from Marlboro, Keyes founded the Muir String Quartet and toured internationally, winning the Evian and Naumburg Awards and two Grand Prix du Disques. Ms. Keyes currently concertizes throughout America as recitalist, as soloist with orchestras, and as a member of the contemporary music ensemble Boston Musica Viva and the acclaimed piano trio, Triple Helix. Recent concert highlights include the BankBoston Celebrity Series, Brandenburg Concerti with the Boston Chamber Music Society, the Fromm Series at Harvard University, Bargemusic and Joan Tower’s Birthday Concert in Town Hall in New York City, solo recitals in Pittsburgh, Boston, and Vermont, the complete Mozart and Bach Violin Sonatas and works of Bartok in Serkin Center, and premieres of concertos by Bernard Hoffer, John Crawford, and Richard Festinger, as well as performances of Stravinsky, Dvorak, Beethoven, Martinu, Brahms and Mozart Violin Concerti. Ms. Keyes naturally extends her musical commitment to education; she teaches violin and chamber music at Boston University and is Artistic Director of both the Interlochen Chamber Music Conference and the Boston University Tanglewood Institute String Quartet Seminar. Ms. Keyes currently serves as a board member of Chamber Music America and recently adjudicated at the Singapore, Stulberg, and Fischoff Competitions. Her piano trio, Triple Helix, is in residence at Wellesley College, where their series of Beethoven concerts garnered them the accolade of “Musicians of the Year” from the Boston Globe. Their CD, “A Sense of Place,” was cited as “Best of North America” by Gramophone Magazine. Ms. Keyes has recorded for Video Artists International, Ecoclassics, CRI, Musical Heritage, EMI-France, Sony, Koch, Bridge, MRS and New World Records. She plays a Gennarius Gagliano made in 1740. Violinist Daniel Stepner has been the first violinist of the Lydian String Quartet, in residence at Brandeis University, since 1987. 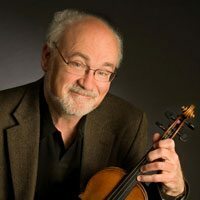 He has been concertmaster of the Handel and Haydn under Thomas Dunn, Christopher Hogwood and Grant Llewellyn, and was a founding member of the Boston Museum Trio, for 35 years in residence at the Museum of Fine Arts. During the summers, he is Artistic Director of the Aston Magna Festival, a concert series in the Berkshire Mountains of Massachusetts devoted to early music on period instruments. He has conducted in the theater and concert hall. He has performed and recorded solo and chamber music from the early baroque through the late 20th-century, and can be heard on numerous commercial CDs playing music of Marais, Buxtehude, Rameau, J. S. Bach (including the Sonatas and Partitas for solo violin), Vivaldi, Telemann, Haydn, Schubert, Brahms, as well as Charles Ives, Irving Fine, Lee Hyla, Peter Child, John Harbison, Martin Boykan and Yehudi Wyner. Mr. Stepner studied in Chicago with Steven Staryk, in France with Nadia Boulanger, and with Broadus Erle at Yale, where he earned a Doctor of Musical Arts degree. He has taught violin at the New England Conservatory, the Eastman School, and at the Longy School. Presently he teaches at Brandeis and at Harvard University. A Silver Medalist in the Henryk Szeryng International Violin Competition, Laura Bossert has earned recognition for her artistry as a soloist, chamber musician, and pedagogue. She is also one of the most respected and sought after teachers of her generation. Ms. Bossert is on the faculty of Wellesley College, the Longy School of Music, and in the summer months, The Quartet Program and LyricaFest. 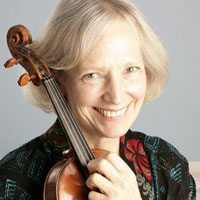 Her students have positions in many wide ranging institutions such as the Boston, San Francisco, Portland, and New Haven Symphonies, Handel and Haydn Society, Royal Philharmonic, BBC Radio Orchestra, Helsinki and Santiago Philharmonics, The Hausmann String Quartet, A Far Cry, Community Music Works, The Quartet Program, Wellesley College and the Longy School of Music. They have been awarded top prizes in international and national competitions such as Young Concert Artists, Fischoff, Spohr, the Miami String Quartet Competition and the Music Teacher’s National Association (MTNA). Ms. Bossert has appeared in collaboration with Elmar Oliveira, Joseph Silverstein, Paul Neubauer, Kim Kashkashian, David Jolley, Joseph Robinson and with ensembles such as the Muir and Lark String Quartets, Amelia, Raphael and Mirecourt Piano Trios. She has toured as a jazz violinist with David Amram and Chuck Mangione, and is a frequent guest artist, with The Cello Chix. Upcoming season highlights, include chamber music and solo collaborations with Tchaikovsky Gold Medalist, cellist Sergey Antonov, chamber music collaborations with violist, Roger Tapping and the Lark and Hausmann String Quartets, a teaching residency at the Eastman School of Music, and a series of master classes at Kent State University.